Business Today is an Indian fortnightly business magazine published by Living Media India Limited, in publication since 1992. In August 2008 Rohit Saran became the editor of the magazine, replacing Sanjoy Narayan in the post. It had a second quarter 2010 readership of 338,000 per issue, ninth among English-language magazines surveyed in India. ^ a b "Top 10 English Magazines: Indian Readership Survey", Hansa Research, 2Q 2010. 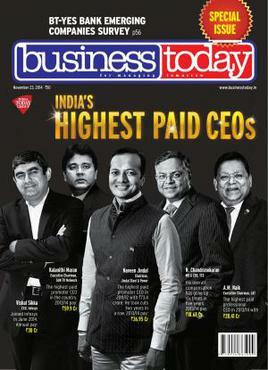 ^ "Business Today appoints Rohit Saran as editor". Campaign India. 25 July 2008. Retrieved 5 May 2016.